At Cabsat 2019 Rohde & Schwarz will spotlight key market drivers that are fuelling the company’s multi-faceted growth worldwide. 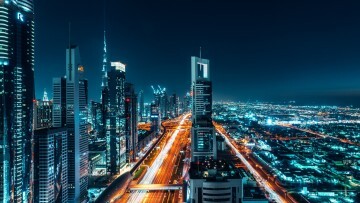 From strategies for ultra-reliable multi-user shared media storage to next step solid-state amplifiers, at Cabsat 2019 Rohde & Schwarz (booth B2-32) will spotlight key market drivers that are fuelling the company’s multi-faceted growth worldwide. On its booth (B2-32) at Cabsat, Rohde & Schwarz will show a number of strategic products that will impact on many sectors of the broadcast industry from postproduction storage to satellite transmission. “Today, the broadcast industry is experiencing more turbulence and churn than ever before. At times like these, companies need a partner that can provide a diversity of technology solutions and rock-solid relability, both financially and operationally that enables them to focus on their customers’ needs. This is what we can offer and what we will demonstrate at Cabsat”, commented Stephan Krafft, Vice President, Marketing & Technical Sales at Rohde & Schwarz. Being showed at Cabsat 2019 is a next generation storage product – an extension to Rohde & Schwarz’s cost-effective, high performance shared storage solutions for collaborative media production networks. The R&S SpycerNode targets broadcast, postproduction and file-based archive applications. Rohde & Schwarz brings an unique combination of proven hardware components and flexible software to the M&E market segment, which makes it scalable, flexible and highly reliable for the user. Rohde & Schwarz will show also a further extend of its R&S PKU100 family of satellite solid state uplink amplifiers with the addition of its first outdoor satellite variant. It is the first on the market to combine the best of two worlds: taking solid-state amplifiers to the next level by incorporating adaptive predistortion, and having the advantages of tube amplifiers such as compactness, light weight and high efficiency. In addition to these new products, Rohde & Schwarz will showcase extensions and refinements to its established solutions, which are driven by customer feedback. One example is the company’s R&S CLIPSTER, a leading solution for mastering and distributing feature films and episodic TV, which will set new benchmarks, as well as R&S VENICE media servers with their state-of-the-art IP-based platforms and hybrid solution for studio production. Also, R&S RelayCaster IP contribution & distribution solution for today’s increasingly IP-centric file-based broadcast environment will be presented. Another focus for Rohde & Schwarz is convergent content monitoring for broadcast and streaming media services featuring its award winning R&S PRISMON monitoring & multiviewer. Rohde & Schwarz continues the successful history of its R&S Tx9evo transmitter generation. The TV transmitters feature outstanding efficiency, a compact design and minimal operational costs. With decades of experience in designing and producing quality transmitters, Rohde & Schwarz ensures transmission service quality. The new generation brings further improvements in energy-efficiency up to 50 percent. It offers both the lowest Total Cost of Ownership (TCO) and the highest future security via software updates. The generally higher availability of the solution is another factor in the overall cost analysis. The integrated signal analysis is convincing because no expensive additional measuring equipment is needed. Thanks to the MultiTX functionality, the transmitters are space saving in the transmitter station. All in all the Tx9evo design is based on a proven platform of which thousands of transmitters are in operation all around the world and prove their reliability every day. Rohde & Schwarz has acquired Pixel Power Ltd. The company offers innovative graphics, master control and integrated playout systems for broadcasters and playout facilities. These systems enable dynamic content to be delivered more efficiently for linear TV, mobile, online and OTT/VOD. Pixel Power has consistently developed its portfolio of software based IP solutions that are virtualizable for the private or public cloud, whilst offering new OPEX business models as part of the broadcast technology transformation. With this acquisition Rohde & Schwarz is executing its plan to expand further in broadcast playout while taking ownership of a company with significant technological leadership. The subsidiary has been renamed "Pixel Power Ltd. - A Rohde & Schwarz Company". At Cabsat it presents its solution at booth 301. The Rohde & Schwarz product portfolio will be on display at booth B2-32.